<br /><br /><br />BigBizkit: Thanks for joining us today, we really appreciate it. To start this off why don’t you tell us a little bit about yourself? <br /><br />ousnius: Hey, I'm ousnius. I'm a gamer, modder, and work as a software engineer in southern Germany. The games I've been active on as a modder so far were Skyrim, Skyrim SE and Fallout 4. People might have heard my name in association with CBBE*(NSFW), Unified UNP*(NSFW), BodySlide, Outfit Studio, SSE NIF Optimizer, Material Editor and several other smaller mods. <br /><br />I also tend to help people out with putting their outfit mods into the games or turning them into BodySlide projects. 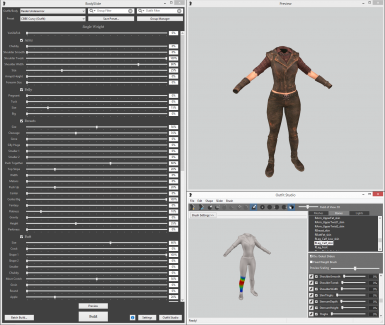 <br /><br />In terms of CBBE, I have helped Caliente finish up the FO4 and SSE versions of it, converted vanilla outfits (and more) and support it over the years with the help of Jeir. <br /><br />Another thing I sometimes do is look at issues with 3D models and other files to get them working properly in the games. <br />This is how the SSE NIF Optimizer realized itself - with the help of jonwd7, a NifTools developer. <br /><br />I'm born '95, so compared to most other modders, I'm probably more on the younger side of things. Yes, that means I started looking at the BodySlide code when I was around 16 . I hang around in a lot of modding related Discord servers, you might have seen me in some of them. Occasionally, I help you guys at Nexus Mods out with testing your new sites and software. <br /><br />BigBizkit:*And we are very thankful for your help and input! <br /><br />BigBizkit: You are most well known for your work on Bodyslide and Outfit Studio and you have accumulated millions of total downloads with that one alone. In your own words: how would you describe Bodyslide and Outfit Studio and why did you create them? <br /><br />ousnius:*BodySlide and Outfit Studio are tools used to create and customize body shapes and outfits. They were created to give people an easier and more direct way to put things into the game without having to deal with other, usually bigger and more complex software first. BodySlide is the "end-user" part of it all, where you can make use of sliders for customization on already compatible mods, as its name suggests. 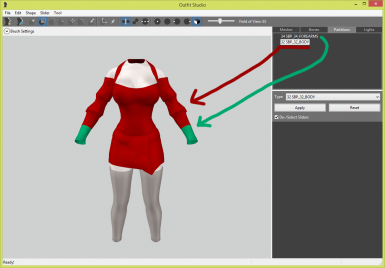 Outfit Studio is the modder's tool to create new outfits, convert them between body types and add slider compatibility, too. Both were actually things that Caliente (creator of CBBE) came up with and created for the original Skyrim. <br /><br />My work on it over the years (which must have been from 2013 to 2018+) was to improve it, add new features, fix bugs, help people use it and polish it. <br /><br />I have also been doing the work to make it fully support Fallout 4 and Skyrim SE. <br /><br />BigBizkit: What about the creative process is it that you enjoy the most? <br /><br />ousnius:*Since I'm less of a "regular" modder and most of my work involves things outside of the actual game, I'm gonna answer this question a little differently. Modding and programming are both things where passion, experience, fun, creativity and skill sets all come together. <br /><br />That's most fun to me, all of the different skills and people intertwining to create a community and cool things. <br /><br />BigBizkit: What was it that initially inspired you to put in the work and effort, and to share your creation with all of us? <br /><br />ousnius: Usually my motivation comes from spending my time on something that will be useful to people (myself or others). When I first saw Caliente's initial version of BodySlide way back, I immediately knew that it's what lots of people wanted, including myself. This was when I was just starting out with auto-didactically*learning programming, so at some point I grabbed the source code to learn from it and then contacted Caliente to help improve it further. <br /><br />BigBizkit: When you are not busy modding, what other things do you like to do for fun? <br /><br />ousnius: I'm a huge fan of all styles of music, so I listen to a lot of that. Of course I occasionally play some video games and the usual things people do on the internet otherwise. <br /><br />Other than that, there's not much more going on at the moment - work, modding and computers take up most of my time. <br /><br />BigBizkit: Speaking of gaming: which game do you have the fondest memories of? <br /><br />ousnius: I've developed huge nostalgia for certain game series and universes. There is the RPG series "Gothic", most known in Germany and parts of Eastern Europe, which I still do playthroughs of occasionally. It has a very active German/Polish/Russian modding scene as well, with a lot of total conversion or content mods that are still coming out to this day, or other things such as a DX11 renderer for it. <br /><br />Other than that, I'm in love with the Warcraft universe (Warcraft 3 and World of Warcraft) and still play those. I've been playing WoW for more than 10 years, so it's been a big part of my early teen years growing up and still is. There are many more (a lot of them not so well known) games that I have fond memories of. Examples are TrackMania, Tomb Raider (all of them, old and new), The Witcher 3, GTA 3-5, Battlefield: Bad Company 2, Millenium Soldier: Expendable, the Pokémon games on various Nintendo systems and some adventure games I played as a kid. To a lot of people, these games will seem rather recent compared to the games people from the generations before me have grown up with. 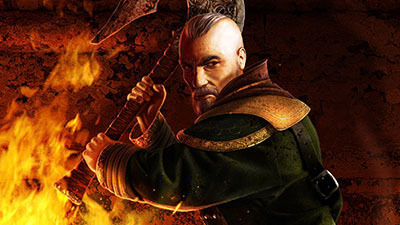 <br /><br />BigBizkit: What games are you currently playing and what aspects do you enjoy most about them? <br /><br />ousnius: Currently I've actually started a Skyrim Special Edition playthrough with the goal of completing most quests and the Dragonborn DLC, which I have still not experienced to this day. I did complete a playthrough of the original Skyrim's main quest and several side quests, but I don't really remember all that much about it anymore. Other than that, I still have Kingdom Come: Deliverance waiting for me (and a new PC). Both are games I love the atmosphere and worlds of. <br /><br />While they're not the only genre of games I like (see above), RPGs have always been fun since they provide so much to see and do. <br /><br />BigBizkit: Is there a particular feature or aspect of Bodyslide that you are most proud of and what would you like to improve going forward? <br />ousnius:*It's hard to pick a specific thing. Mostly I'm proud of fleshing it out to the point people may actually consider using it more than once. Of course like most software, it's never perfect and there's always things to improve. I want to continue adding smaller and bigger features as I have the time to do so, but there are not many actual specific things planned. <br /><br />BigBizkit: How does it make you feel that hundreds of thousands, even millions of people out there are using a tool that you developed? <br /><br />ousnius:*BodySlide has turned into a must-have for a lot of people who care about their character's looks in Skyrim and Fallout 4, that's definitely cool. It's fun and interesting to see so many people use it. The numbers are quite unreal, even more so with CBBE, but I got used to it quickly (I don't feel any pressure or anything that I wouldn't want). Additionally it's been a great help in figuring out how people experience your tools as a software developer by seeing how they use it and what they say or have problems with. <br /><br />BigBizkit: We have recently rolled out our Donation Points system as well as our Patreon to help the community supplement our donation fund that we pay into ourselves. Being a mod author, what are your thoughts on this new system? 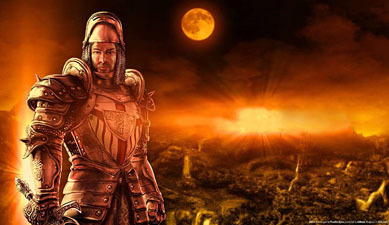 <br /><br />ousnius:*There's a lot of ways to screw up the relationship between modders, mod users, game developers and websites and not many to do it right. I believe the Donation Points system won't hurt anyone and it's a good, not too aggressive way, to give back a little to people who have created things many enjoy and put them up for free. So far it seems like a good compromise to me. Some people don't like the fact that unique downloads are being used (making shiny popular things get more DP), but I strongly believe that it's still the most neutral way to do it. <br /><br />BigBizkit: Thank you for taking the time out of your day to chat with us. Is there anything else you would like the community to know about you, your plans, or future projects? <br /><br />ousnius:*I usually don't make long term plans. Hopefully I'll still be around for Starfield and TES 6 (and FO76?). <br /><br />Thanks again to ousnius and best of luck for your future endeavours and projects from the entire Nexus Mods team.